You aint no retard ! Man that is so sweet! 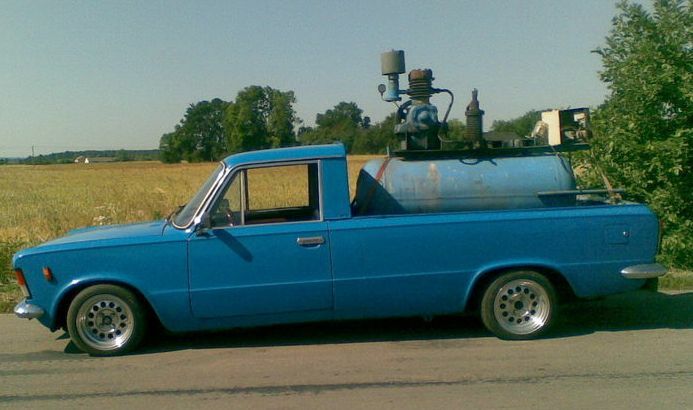 Cool ute. Wouldn't think there'd be many of those in New Zealand. Shame about the Hotwires though. I thought they suited it just right. Crikey, this must be a rare thing now. Surprising how the car floorpan is all just left under there - cheapest option I suppose. At least it isn't too rusty. Will you get away with no cert for the twin cam? 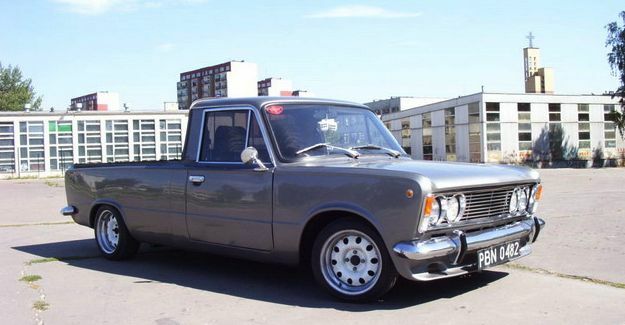 so can get away with "oh its on the pre cert paper luv"
Or, "Yeah the Polish boys got some shipments of real FIAT engines to install, unlike those crappy LADA engines"
Cheers bro, will probably let one of the other 2 go now, probably the 125 sedan. Cheers bro. Is mesh, Is good. PO reckoned 9 were imported! Cheapest maybe, some of the changes would have been more expensive to keep and are illogical, but Communism man. The original engine is 1481cc this is 1585cc, so 7% increase in engine capacity, but on power, 55.2kw for the late 1500 that this would have come with, vs 90-98hp depending on cams and pistons is 72kw, so a ~30% increase. Yeah, also noone knows what it is, so noone knows what its supposed to have, and its been like that for at least 11 years, maybe more? They did, the top model sedans ran this exact engine, and the standard polish fitted engine was also Fiat derived, but a 30 yo OHV pushrod design at the time. This is rad, is the bed super long or is the rest of it quite small? A bit of both maybe? the front end is pretty short on these fiats but looks like the overall length is more than the sedan? could be eye tricking mind though. 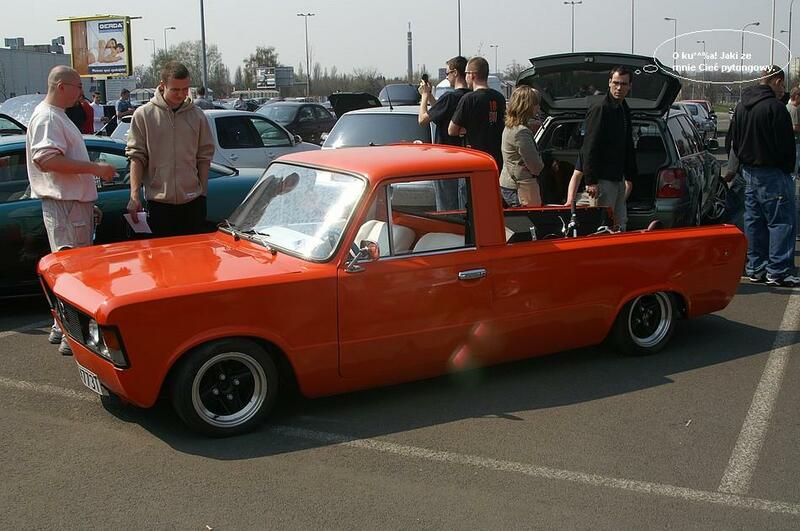 but yeah, these things are sweet, the world needs more small utes. don't know why no one sells can small utes in this country anymore. I guess just lack of small rwd platforms on the market. Exactly this. There must be a market for them. 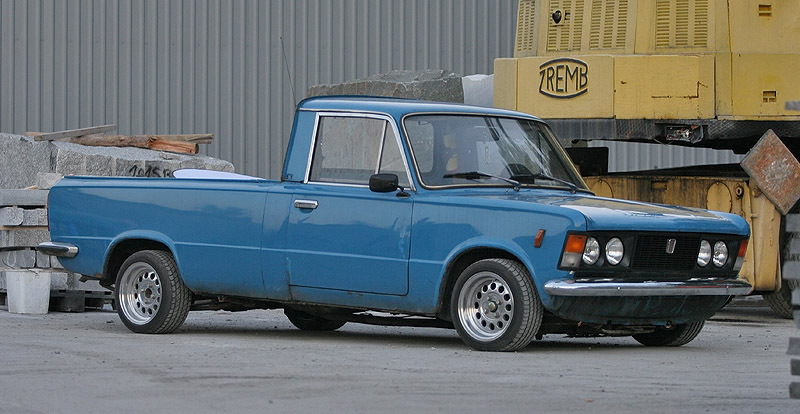 I can't be the only one who'd be keen for something similarly sized to a '70s/early '80s Hilux or B1600 that isn't worn out and fucked. If you look at the 125 sedan the bonnet and front doors are quite short relative to the rest (big back doors/footroom and big boot) , i think the bed just highlights it more. He said he had a 200cc motorbike in it with the tray up, so its pretty good loadspace. Iv pined over this for years seeing it pottering round slappamoa. The engine would prob never get picked up by a wof inspector, and they would need to be so Barry to know, they'ed stoke out on the car and not worry! For the carb, I found two gaskets with a helping of gasket goo between sealed well before I machined the manifold flat on mine. Gooped up the carby and manifold last night with hylomar blue and put them together and tightened it up after work just earlier. The 'set' goop tends to act more like an o-ring, but HB never really sets so it will still sqush out the tighter areas. adjusted the timing (way too advanced) then set idle mix using highest vacuum manifold method and now more bogging or running on. In typical fashion however the starter no longer runs off the key, but easily rigged up an engine bay bypass and with the carb 'fixed' it starts super easy. Oh also the bonnet latch was super hard to open and now its cable is broken, lucky i was trying to adjust it at the time and had the catch nuts loosened. Unbelievably cool. Well done. There's a yellow one floating around Christchurch I've been lusting after. Can't wait to see what you do with it!